LED luminaires are being marketed today as an alternative lighting technology that reduces power consumption and maintenance costs for commercial and residential installations. 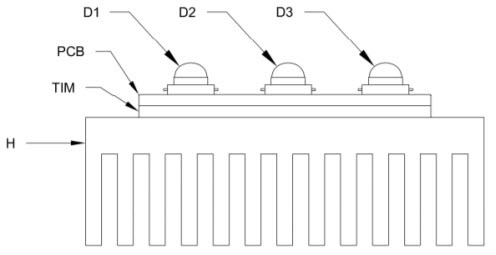 Thermal management has a significant impact upon the lifetime, performance and cost of an LED luminaire. Without proper application of thermal management design principles, the potential benefits of solid state lighting and its ability to be successfully marketed will be reduced. This entry was posted on Sunday, November 5th, 2017 at 1:00 pm	and is filed under app notes. You can follow any responses to this entry through the RSS 2.0 feed. You can skip to the end and leave a response. Pinging is currently not allowed.